A change to Starbucks' iconic red holiday cups has left some customers feeling less than cheery. For Starbucks regulars, the holiday season has come to mean special cups decorated with reindeer and ornaments, but the company announced last week that it is doing away with those symbols. "This year we wanted to usher in the holidays with a purity of design that welcomes all of our stories," said the company's vice president Jeffrey Fields. But Christian evangelist Joshua Feuerstein is not happy. He posted a video on Facebook criticizing Starbucks for removing "Christmas from their cups because they hate Jesus." "I think in the age of political correctness we become so open-minded our brains have literally fallen out of our head," the former pastor says in the video. "Do you realize that Starbucks wanted to take Christ and Christmas off of their brand new cups? That's why they're just plain red." In protest, Feuerstein called on Starbucks customers to tell baristas their name is "Merry Christmas" so workers will have to write it on the red cup. The video has been shared nearly half a million times, and those who followed Feuestein's instructions shared their support using the hashtag #MerryChristmasStarbucks. Not everyone joining the conversation is supporting Feuerstein, however. 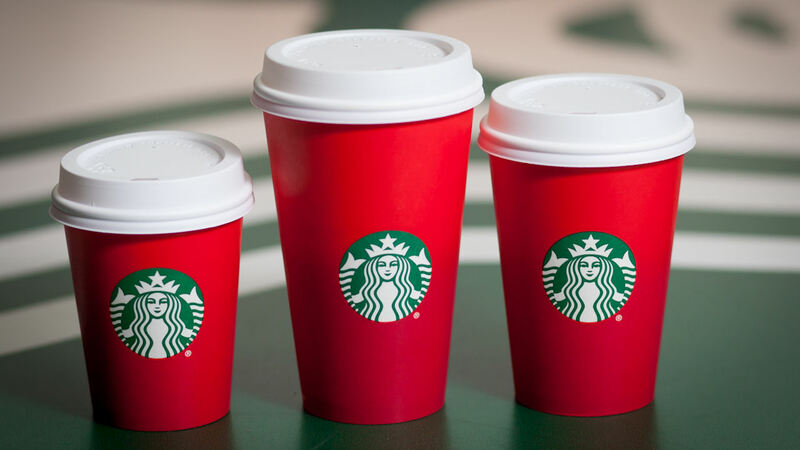 Many on social media say the outrage over the red cup is trivial and misguided. Is this whole #Starbucks #RedCups #Christmas scandal real ? People realise the past snowflake & ice skate designs weren’t Christian, right? Starbucks issued a statement saying the company "will continue to embrace and welcome customers from all backgrounds and religions in our stores around the world." The coffee chain continues to sell Christmas-themed products, including cards with "Merry Christmas" written on them and its "Christmas Blend" coffee.